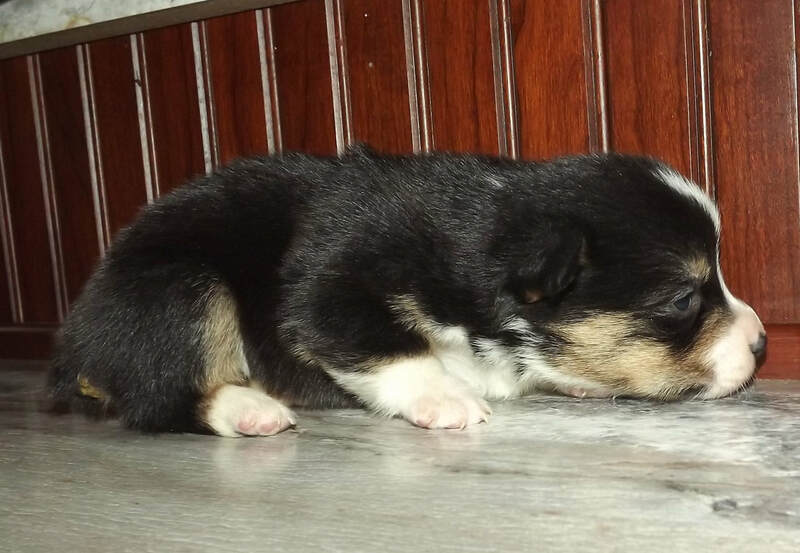 Color: Black & Tan with White Markings. The Slideshow below was taken on November 12, 2018! The Slideshow below was taken on November 25th, 2018! The Slideshow below was taken on December 16th, 2018! The Slideshow below was taken on January 8th, 2019! $100.00 Nonrefundable Deposit down to hold your puppy! This guy is a really nice. He has a nice blaze on his face. ﻿You will receive Registration papers for sending into the American Kennel Club. It is an additional $30.00 for Registering your puppy. ﻿To Pay your deposit through PayPal, click button below...price includes PayPal processing fee of $4.00.